Running time 6h44m. Born in 1975 in Tuapse on the shores of the Black Sea, Vladimir Kramnik studied at the Botvinnik-Kasparov chess school. At 16 he was included in the Russian Olympiad team and scored a sensational 8/9, the best result at the Olympiad. There then followed a string of great tournament results, culminating in a world championship challenge. In 2000 Kramnik played the chess legend Garry Kasparov and beat him to take the title, which he successfully defended in 2004 against Peter Leko and 2006 against FIDE champion Veselin Topalov, whom he defeated to take the unified world championship title. 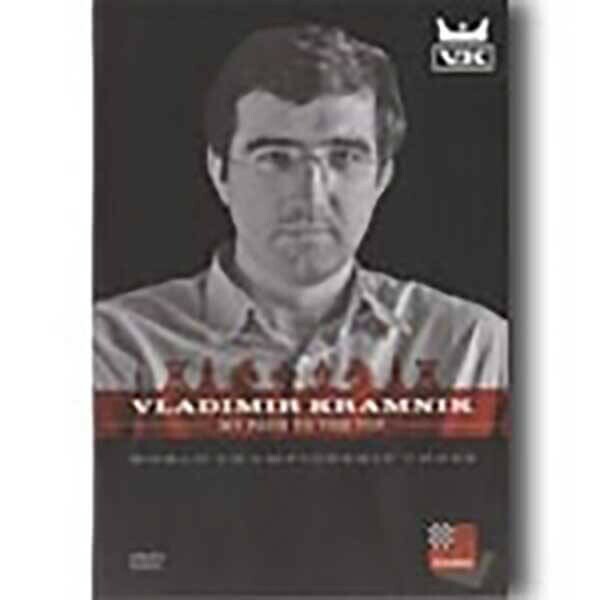 On this DVD, which is in English!, Vladimir Kramnik retraces his career from talented schoolboy to World Champion in 2006. With humor and charm he describes his first successes, what it meant to be part of the Russian Gold Medal team at the Olympiad, and how he undertook the Herculean task of beating his former mentor and teacher Garry Kasparov. Kramnik dissects his wins against Leko and Topalov, giving us a vivid impression of the super-dramatic final games of the 2006 match. His commentary is full of useful advice and provides a fascinating insight into the thought processes that govern top level play. Exclusive Interview with Vladimir Kramnik on the intrigues surrounding the 2006 world championship, and the state of the chess world in general, 44:00 System requirements: PC, Windows Vista or XP, sound card.